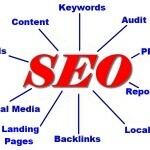 Home » SEO » What Should Your SEO/SEM Company Be Doing For You? You have watched your business’ website search engine rankings drop while traffic slowly declines over several months. All this time your sales from internet visitors have been drying up. You struggle to find out what is wrong but are at a loss to find a cause. You have done some research and everything you read tells you that SEO/SEM can drive more visitors to your website by helping improve your website ranking on organic search engines. You do not have anyone on your staff qualified to take on this task so you are looking for outside help. You have now begun researching SEO/SEM companies to find one that can help you correct the downward spiral of your online business. You have read the reviews they received, talked with them and found they have hundreds of satisfied customers and the pricing is within your budget. Although a reputable SEO/SEM company may not guarantee you specific results in the sense of X number of visitors and conversions, they do guarantee that given a reasonable time period you will see a definite improvement in your website’s ranking as well as an increase in organic visits. This all sounds great to you but there is still a burning question in the back of your mind: What exactly are they going to be doing or should be doing for you? The whole SEO/SEM business may seem like black magic to you but it is nothing more than a lot of research and hard work through a number of tasks to get your website back where it will attract visitors and customers. Although there are number of people that argue you are simply chasing Google Search, I would say that as long as Google is the 800 pound gorilla of search engines and accounts for around 60% of all searches, to ignore them would be foolish. Keep in mind that SEO is nothing more than a culmination of online strategies to let search engines know you are worthy of being ranked. Although each person in the SEO/SEM business has their own list of tasks they may consider part of their duties, the following are the tasks that I believe each SEO/SEM should offer as part of their service. 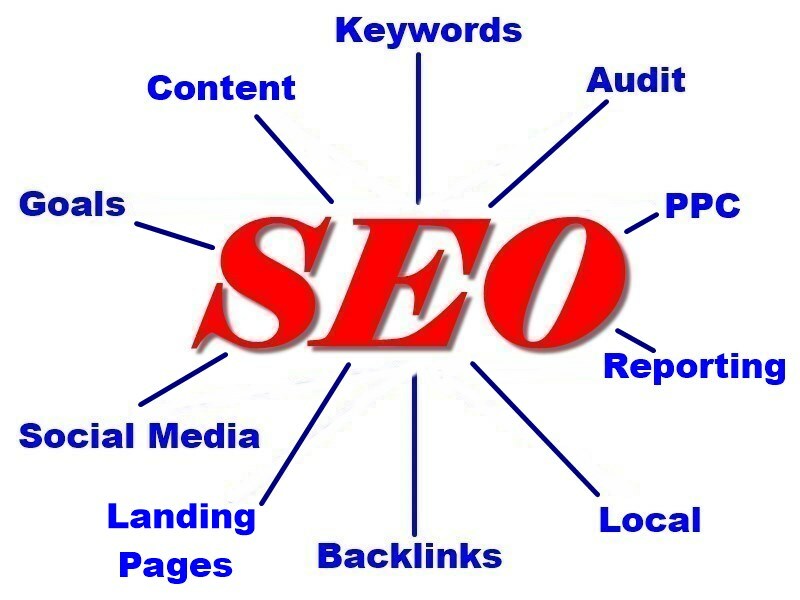 Some of the below tasks should be done by the SEO/SEM company while others can be handled by your staff with guidance and recommendations. The tasks below are not necessarily in any priority sequence. Establishment of Strategy – The first and foremost thing that an SEO/SEM company should do for a client is to establish the goals and objectives for their services. This should include milestones the client wishes to reach and KPIs to track. This lays the foundation for what the client expects and the SEO/SEM company understands the task ahead and should be in keeping with the overall business goals. This strategy will define which of the following tasks are required by the client. Website Audit – Before launching into any other work it is critical to discover what errors, warning and issues exist on the current website and fix them. A poorly maintained site will always struggle against those sites that correct errors immediately. An initial website audit will uncover errors that can drag a website down slowly over time. Your on-site SEO only accounts for 10-15% of your overall ranking factors, since this is the one area that either you or your web designer normally have full control of, these are the easiest problems to fix and should be tackled immediately to get them out of the way. This audit should also include recommendations on site structure, navigation and content. This audit should also include a competitive analysis to determine what your competition is doing that is working for them. Backlink Audit – With recent changes to Google’s algorithm for determining search engine ranking, backlinks have become a key point they are looking at closely. Backlink methods that once got you website on Page 1 can now get your site penalized, either algorithmically or manually. Both penalties will result in an immediate drop in rankings and organic search visitors. It is therefore important for your SEO/SEM company to immediate conduct a full audit of your backlink profile to determine if there are any backlinks that can result in a future penalty (assuming you haven’t already received one) and take action to remove them. Keyword Research – Although there is some disagreement on the importance of keyword research, many still consider in depth research critical to developing web pages that will rank well for the terms used in searches. Semantic search makes this process more difficult than in past years but it is still important in focusing on those keywords that provide the proper number of possible visits without being overly competitive. Landing Page Development – Highly optimized landing pages can help to increase conversion once visitors reach your website. An SEO/SEM company should provide you with recommendations on landing page development as well as A/B testing between landing page variations to achieve the highest conversion rate possible. Pay-Per-Click Campaign Development/Management – Although PPC may not be something you are interested in, it is something your SEO/SEM should offer you. PPC can augment your organic traffic with highly targeted traffic to help meet your business goals. It is important to remember that this will be an added cost for the visitors but based on the cost per click it may be a valuable asset to explore. Social Media Audit/Strategy/Management – Any business that has or is planning on establishing a social media presence may need assistance. An SEO/SEM company can provide help in development of a social media strategy, recommendations on their current social media activity or even monitoring and managing various platforms. Local Listing Optimization – For the majority of businesses on the web, local search has taken on a much greater importance. Knowledge of the aspects of local search is crucial to obtaining the greatest impact on organic search. SEO/SEM companies can ensure that your website achieves the greatest exposure on local searches which can translate into more visitors and conversions. Content Creation – Although most businesses have the greatest knowledge of their products or services, many times they lack the personnel able to produce optimized content for their readers. Providing the ability to take basic information and turn it into quality content for publication is a service that should be offered by an SEO/SEM company however this service normally comes with an additional cost. Backlinking – Although backlinks can be an area of concern as mentioned above, a reputable SEO/SEM company should be looking for quality, relevant backlink opportunities for their client. These should include such things as industry related directories and trade websites. Reporting – Reporting on a regular basis is critical for the website owner to monitor the improvements to the website rankings, traffic and conversions. Reports should reflect the KPI’s the client considers important rather than what the SEO/SEM wants to report. Reports should be simple to read in language the client understands and should include recommendations for future actions. Although many SEO/SEM companies may not offer all of the above tasks or may offer more, it is important for the website owner to understand exactly what they receiving for their money. Don’t be satisfied with “We will get you a higher ranking in Google search” or “We’ll get you more traffic”. Keep in mind your overall goal; to increase revenue through your website. Higher rankings or more traffic may not necessarily mean an increase in revenue. Find out exactly what they will be doing for you and how it will help achieve your goals. Educate yourself on what SEO/SEM services should do for you and only pay for those services that you want and need. It is best for the website owner to specifically ask for the services they desire and get a firm price for them. Educate yourself, shop around and like any product you shop for, get what you want and not what the salesman tells you they will sell you! I would appreciate any comments concerning any additional tasks that you think should be included in this listing. If you found this article to be helpful please be sure to share it or comment.